There are many terrifying and dangerous animals that live on Earth. Also, there are many intelligent and smartest animals are there to accompany us on this planet. Have you ever given a thought about the Oceans? There are many dangerous and terrifying deep sea creatures found in Oceans. They are very deadly animals in their own way. Let me give you few examples, have you ever heard the name of Giant Squid? The only predator of Giant Squid is the sperm whale. The battle between both of them is one of the major deep sea battles. Here is another one, Vampire Squid has the largest eyes of all animal in the world. It has intensely red eyes and cloak-like webbing. It is one of the terrifying deep sea creatures. The ocean is full of deep and full of terrifying creatures. 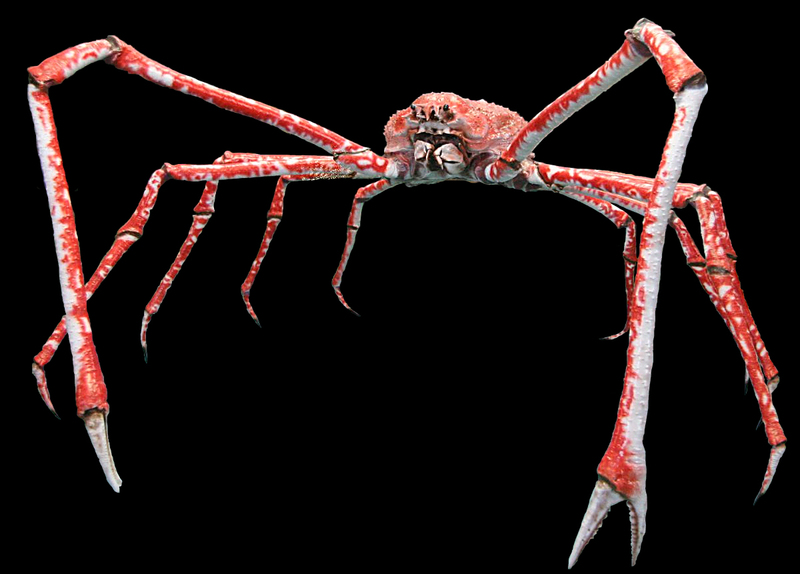 So, here we are listing top 10 most terrifying deep sea creatures. 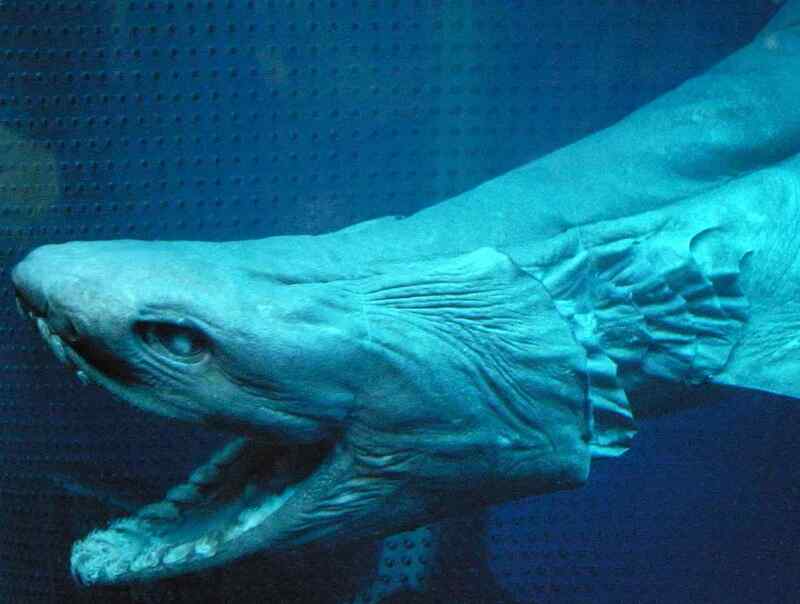 Frilled Shark usually found thousands of feet below the surface. They are very similar to sharks but they have very dangerous three pointed teeth. Along with terrifying deep sea creatures, we have also listed beautiful fishes in the world. Frilled Shark can be caught inside 1,570 meters inside the sea but in Suruga Bay located in Japan, it is usually seen at a depth of 50 to 200 meter. Additionally known as “living fossil” comes under the family Chlamydoselachidae and mostly seen in Atlantic and the Pacific Ocean and loves eating cephalopods and bony fishes. Talking about the appearance, frilled shark has a flattened head and a large mouth. There are around 300 teeth arranged in 25 rows pointing in a backward direction. The shark’s body is elongated in nature with brown or ey in colour. Usually all sharks don’t have a nictitating membrane that is a thin but tough membrane considered as an eyelid that moves horizantlyu with the eye, However, frilled shark has it and it uses to protect its eyes during potentially dangerous situations. The skeleton of the species contains less calcium may be because it lives in the deep sea which is poor in nutrients. Viperfish is generally characterized by its long needle-like teeth. They can grow up to 30 to 60 cm. It is one of the terrifying deep sea creatures found inside the sea. Viperfish usually found below the sea in the daytime and it will go very deep at night. They are usually found in tropical and temperate waters and can be seen in many colours varying from green, silver, and black. The species can swim at a speed of two body length per second. Viperfish has a light-producing organ called photophores which help them in attracting prey. It usually found on the ventral side of the body. It has a ferocious appearance and can grow up to 11 or 12 inches (30 centimetres) in length. Talking about the appearance, the body is dark silvery blue in colour, However, the colour can vary from green to silver or black. The species is equipped with large teeth that help them in surviving in darkness. Generally, Viperfish has been seen hanging motionless in water and only waving their lures located over the head attract meals. They love to eat crustaceans and small fish. During daytime, Viperfish can be seen deep inside the water usually 5,000 feet (1,500 meters), however, during they come at about 2,000 feet (600 meters) where they have more options for meals and food is plentiful. Stargazer fish are usually known for their unique way of attacking. They bury themselves inside the sea and waits till the fish to swim right over them and at that point they come up and eat them. Now you are thinking about why they are terrifying? Please look at the picture. They belong to the family Uranoscopidae of perciform fish and their head permanently points in the upward direction. Talking about the appearance, the eyes are situated on top of their head. The body is the species is dull brown in colour, however, it is elongated and round in shape. An upper part of the body is darker than the lower part. Head is comparatively larger in size but is flat on its sides. The size of the viperfish ranges from 18 – 25cm but some of them have been seen as long as 90cm. It makes himself buried inside the sand or mud on the ocean floor. It makes his body in such a way that only eyes and mouth are visible. The creature is poisonous and the two large poison spines are located on each pectoral fin. The poison spines produce electricity and can deliver electric shocks. The species love to eat a variety of fish and also other creatures like crabs that are found in marine water. It generally waits for the prey to pass through its head while it was buried inside the sand of the ocean floor. As soon as the prey comes closer it suddenly jumps and catches it. Stargazer fish breeds in spring and summer. Gulper Eel is one of the strangest looking animals in the sea. They are scientifically known as Eurypharynx pelecanoides. The mouth of the Gulper Eel is very large as compared to its body. The species have very rarely seen humans in the sea and the unique feature of the Gulper Eel is its mouth which is larger than its body. It is also loosely hinged and can be opened very wide as soon as it sees the fish. Gulper Eel is also capable of swallowing fish larger than their size and uses the whip-like tail for movement. Talking about the appearance, Gulper Eel is black in colour with a lateral white stripe on the body. Additionally known as pelican eel generally seen at the depth of between 500 m and 3 km (1,640 feet) mostly in tropical and temperate seas. It is equipped with a luminous organ situated at the end of the tail because sunlight can reach that depth where they are normally found. The species can grow up to 80 cm long with a long thin body and comparatively large head. They have many rows of teeth with huge jaws that help them in catching prey by opening their largemouth. Gulper Eel is bad swimmers because of their body shape and can only on tail light to attract prey. It loves to eat fish, plankton, copepods and shrimp. It can be easily caught using small trawling nets, however, harvesting is banned during the spring because at that time brabs generally move deep waters to reproduce. There is a subsequent decline in the population of the species but efforts are being to protect them. Scientifically known as Macrocheira kampfaeri where ‘Macrocheira’ comes from two Greek words namely ‘makros’ meaning ‘big’ or ‘long’ and ‘cheir’ meaning ‘hands’ or ‘arms’. The species equipped with an exoskeleton that helps them to protect from larger predators such as octopuses. The population is abundant off the southern coasts of Honshu Island and that is the largest island of Japan. The giant squid is very large since they can grow up to 14m. They are equivalent to the size of the five-story building. They are terrifying because it is believed that they eat small whales. The problem is that small whales are not very small actually. Giant squid belongs to the family Architeuthidae. The male can grow up to 14m while the female can grow up to 10m. The first image of Giant squid has been taken by the Japanese researchers in its natural habitat and it has been believed that their many species of Giant squid exist but as per genetic research, However, only one species exist. The largest known squid species can be seen in all oceans across the world, however, as of now, they have been discovered in the Gulf of Mexico, the Sea of Japan, the Pacific Ocean, Hawaii, the southern oceans and California. One of the biggest and dangerous deep-sea creatures, Giant squid can grow up to 59 feet in length making it one of the biggest animal on the planet. It weighs around one ton of weight and females are usually larger than males. You can image the size of Giant squid because they can be as long as a school bus. Talking about the appearance, It has a large head with eight arms and two tentacles used for grabbing prey. Also, they have strong jaws similar to a parrot beak. The species loved to eat other squids, fish and shrimps, however, according to different researchers they can also attack and eat small whales. One of the ugliest animals in the world, Goblin shark also called a “living fossil” and belongs to the family Mitsukurinidae. Goblin shark lives up to 1300 ft. deep inside the sea. They are terrifying because they can detach their whole mouth from the body in order to get their prey. There are many aquatic animals that have mind-blowing superpowers. They can grow up to 3.5m and loves hunting teleost fishes, cephalopods, and crustaceans. Talking about the appearance, They have a flabby body with small fins with nail-like teeth. It is quite different from other sharks in terms of the appearance and probably the strongest looking and ugliest sharks in the oceans. Goblin shark can be seen very rarely in the deep oceans and it is the only member of the family which is surviving rest all died out and hence sometimes referred to as “living fossil.” Scientifically known as Mitsukurina Owstoni because the first specimen has been seen on the coast of Japan in 1898 by a naturalist called Alan Owston. They have a pinkish appearance sometimes red when they are old because blood vessels can be seen through its skin, however, the red colour in the deep is visible has black and helps them in catching prey. The camouflage colour helps it hide in plain sight. It is visible in all oceans across the world and most visible in Brazil, the Gulf of Mexico, France, Portugal and Senegal. Also, found off the coasts of Japan, South Africa, Taiwan, Australia and even California. Blue Ringed Octopus is one of the most dangerous and terrifying deep sea creature found in the sea. The venom of the Blue Ringed Octopus is extremely potent. One of the types called Glass Octopus listed as transparent animals on planet Earth. They are mostly found in the Pacific and Indian Oceans and known as one of the most poisonous animals. The size varies from 12 to 20cm famous among scientist for their yellowish skin along with blue and black rings on their body. It can grow up to the size of 20 cm and its bite can cause paralysis in the muscles of the human body and can easily kill them. It is deadly because of its saliva that contains (spit). The species love to eat prey such as crustaceans and fish, however, for grabbing the prey they will bite them to inject venom and sometimes it just releases saliva in the water and them waits for the venom to paralyse its victims. One of the deep sea creatures mostly seen in the rocky shores from Australia to Japan. They have bright blue rings on the body and hence the name. Humpback anglerfish are one of the terrifying deep sea creatures because of the looks. Just see the picture once. Humpback anglerfish lives up to 2000m below the sea. They used to light its prey with light from the strange antenna located at its head. Anglerfish is one of the bioluminescent animals on planet Earth. Humpback anglerfish belong to the family Melanocetidae and also known as humpback black devil and Johnson’s anglerfish. They are seen in all the oceans of the world and have a strange looking antenna on their head which helps them to locate their prey. One of the deep sea creatures comes up with big mounth and flexible body. They can swallow prey that is twice to its size. Talking about the appearance, the species are grey to dark brown in colour and have a large sized head with a big crescent-shaped mouth full of sharp teeth which are translucent. It can grow up to the size of 1 meter. 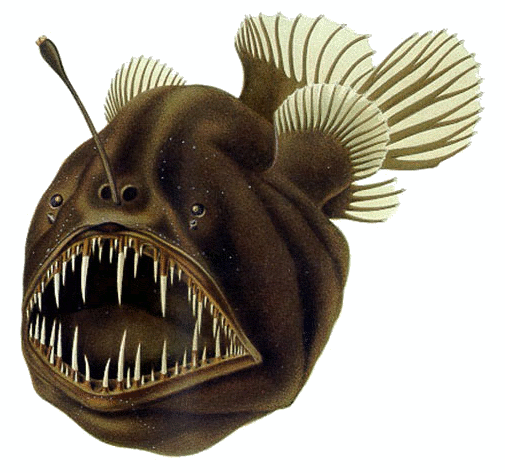 The female anglerfish is much bigger than the male species. It was first identified by the English naturalist James Yates Johnson and hence it is scientifically known as Melanocetus Johnsonii. It attracts its prey with the help of bioluminescence of the esca that produces symbiotic bacteria and when surrounding are dark he glowing esca attracts the prey. The population of the species is widely distributed in almost all oceans across the world. The species have a lateral line that can sense the pressure and movements in the surrounding of the ocean. Fangtooth fish are the deepest living fish ever found. They can survive 5,000 meters below sea level. The pressure at that point is 500 times than that of land. Their teeth are in proportion to their body size making them one of the terrifying deep sea creatures. The species belong to the family Anoplogastridae and known to be a close relative of the fish. One of the deep sea creatures have the strongest and largest teeth among all fish varietiesaccprdint to the size and known to be the deepest living fish ever discovered. Talking about the appearance, the head and mouth of the fish is very large and the head consists of multiple mucouscavities. The eyes are situated on the top of the head and comparatively smaller in size. The spies have a lateral line functions to detect movements and vibrations in the oceans. They love to thrive in oceans with tropical and temperate temperature. It can go as deep as 5000 meters and hence one of the deepest living species creature in the world. It generally avoids sunlight and only goes the ocean surface during the night. Despite its dreadful appearance, the species is harmless to humans. The Fangtooth fish has scales in its skin which are shaped like plates. The fins are small and spineless. The predators of the fish are Tuna, Marlin and a few shark species. Let us discuss how Fangtooth fish catches its prey, It is through chemo-reception method, however, sometimes they fail to the prey through this method. They love to eat Squid and fish and locate its prey by detecting chemical signatures of other fish varieties in water. These are the 10 terrifying deep sea creatures. Do post your comments.